Given that it’s now the #2 social network in the world, Instagram has been killing it in the last couple of years. It feels to me like if you’re not here… you don’t exist. I know this isn’t true for everyone. Instagram relies on the visual, so if you have a business that isn’t very visual, then maybe you don’t need to be there. Or maybe you need to figure out a way to make it work for you? 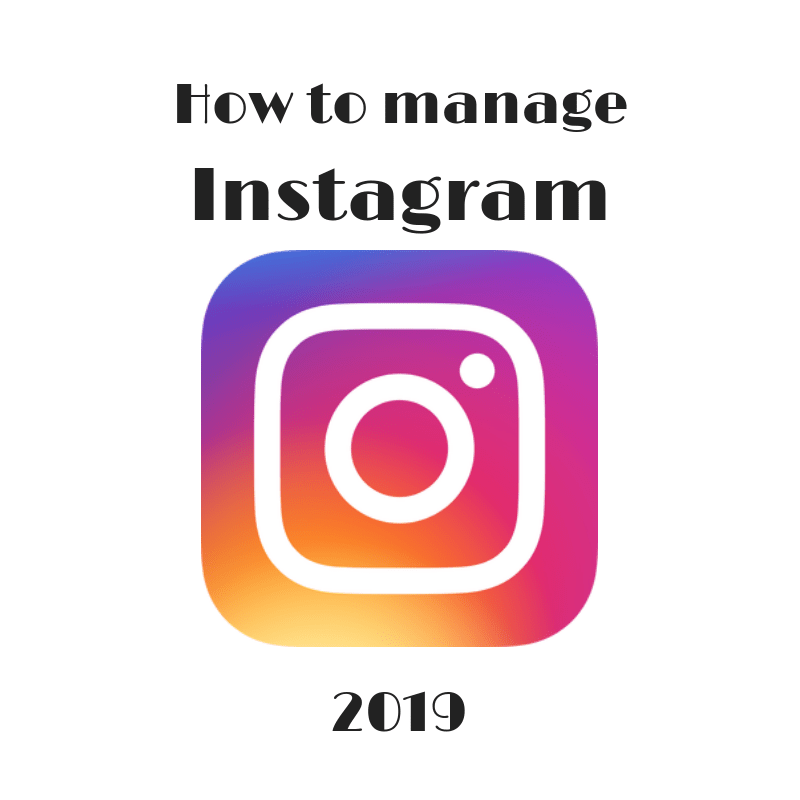 Instagram currently, in 2019, has 1 Billion active monthly users, and 500 million active monthly Instagram Stories users. Those numbers make it difficult to ignore. But as the platform has been growing, so also has its complexity. There are many factors to consider when managing your Instagram. Personal or business? This blog is about business, so I’m assuming you’re here to learn more about that. You don’t have to make your account a business account, but it does offer some advantages, like making it easier to contact you, having the ability to buy ads, and also access to analytics. Profile: you are limited to 150 characters here, so keep it short and sweet. Your username is limited to 30, and in an ideal world, you want for your username to be the same as all your other usernames on social networks. For example, if you look for me, I’m @rebeccacoleman on almost everything. @WholeFoods in another great example. Make sure you mix up your bio with both personal and professional information, to make you seem like a rounded human being, and not a robot. And for the love of Pete, #don’t #use #too #many #hashtags. Here’s a great article, including a worksheet, on how to write a good Instagram bio. Website Link: The other thing you need to remember about your Instagram bio is that you only have one clickable link in your entire profile. You can try putting links in the descriptions of your photos, but they won’t be clickable, and that renders them basically useless. What I do is use a tool called Link.tree. I am able to put multiple links on LInk.tree, and then the link in my bio leads people there. Content: goes without saying that Instagram is a photographer’s medium, so the better your photography, the better your content will perform. That means investing in a new phone, maybe, or a camera, so that you have good equipment to start with. Learn more about lighting (lighting is key! ), and read up on the rule of thirds. Maybe even take some classes! Editorial Calendar: have a look at the calendar for the month and then begin to sketch out ideas for the month. Are there holidays coming up that you can create content around? For example, right now it’s spring, and I’m posting tons of photos of flowers, blooms, cherry blossoms… as a food blogger, I can also think about what kinds of foods are in season right now, and create content around those. It’s great to have a plan, rather than just flying by the seat of your pants. I find when I do that, I publish less content than when I plan things out. How often to post? I have no idea. It really depends on how much content you have. I try to post a minimum of 5/7 days of the week. But I often find that my posts perform better if I skip a day. Play around with this and see what works for you. Content ideas: one big mistake that many companies make is they only talk about themselves all the time and don’t try to help their followers. Of course you are there to do business, and you want to show it off. But is there some way you can help people? For example, instead of just showing a jean jacket that you’re trying to sell, show three different ways to style it in a carousel. Give value back to your followers with giveaways, contests, and tips. Influencers/ celebs using your product or service: this gives you social proof. One company that does a great job of this is local jewellery manufacturer, Pyrrha. UGC (User Generated Content): what many businesses do is encourage their clients to post on a particular hashtag, and they they choose photos to profile on their account. One of my favorites in this genre is Hello BC. Ask Questions to promote engagement. You’ll see Instagrammers showing two options in the photo, then asking folks to vote for their favorite in the comments, or posting a photo and then asking followers to tag someone who might enjoy it. Funny stuff/ memes: show that you have a sense of humour. Instagram’s Algorithm. Instagram is owned by Facebook, and both are ruled by an algorithm. So what you see or don’t see in your feed is determined by Facebook. It’s important to know/understand this, because if you know about it, you can work with it/within it. Simply put, the more engagement your post gets (especially shortly after you post it), the better it is. Engagement is counted as a like or a comment, primarily. So you want to make your content as engaging as you possibly can. Other factors come into play here, like posting at the right time of the day, hashtags, what kind of content, etc. Here’s a good article to learn more. What time to post? If you have a business account, Instagram gives you access to this info. If you don’t, simply post at different times of the day and see where you get the most engagement. For me, it’s later at night, usually between 8-10pm, but I know a lot of people that post first thing in the morning. Hashtags. You cannot be serious about IG unless you have a hashtag strategy. Instagram allows you to include up to 30, but for many people, that’s excessive. Start by looking at successful instagrammers in your niche, both ones that live near you, and internationally. What hashtags do they use? You can start an excel spreadsheet if you like, tracking the hashtag, and how many mentions it gets. When you start to type a hashtag into Instagram, it will tell you how many times that hashtag has been used. One strategy I like is the 10/10/10 strategy. Use 1/3 very popular hashtags (1 million or more), 1/3 medium popular hashtags (say 100,000+) and 1/3 specific or niche hashtags. The reason for this, is that, even though those hashtags are popular, they also have a lot of competition, so including less popular, but less competitive hashtags in your strategy can help. Once you have your hashtags, store them in a note on your phone so you can copy/paste them. I always make sure I use slightly different hashtags on every post, and mix them up to avoid shadowbanning. By the way, there’s no data to support putting them in the first comment is better than putting them in your description. It’s purely for aesthetics. Engagement. It’s important to engage with others on Instagram. It’s a very karmic network, if you engage with others, they will engage with you. I try to set aside about 15 minutes a day (sometimes longer) to engage with my followers and hashtags. Basically, what I do is, I put one of my favourite hashtags (ie one I’d use) into the search bar on Instagram, and then I go through and engage with a few of those posts, liking and leaving comments. I do this for a few hashtags every day, and I mix them up. Gary Vee calls this the $1.80 method. I probably do not do 90 comments a day, but I make sure to do at least 25 or more. Instagram Stories: because of the algorithm, it’s important to do Instagram Stories regularly. They aren’t subject to the algorithm in the same way, and I often find that I am reaching a wider audience in my Instagram stories than I am in my regular posts! The great thing about IG stories, is they don’t have to be perfect. They just expire in 24 hours, anyway! Be yourself, have fun, don’t worry about perfection. Connect with your audience. Managing your Instagram: here are a few of my favourite tools. Canva is another great app for creating graphics, Instagram stories, etc..
Save drafts: Instagram has a feature where you can create an entire post and then save it in drafts. All you have to do is log on and publish at the appropriate time.